Fish feeds containing little to no wild-caught fish combined with a novel feed ingredient has the potential to greatly increase the growth of farmed tilapia, finds a new study by WorldFish and the Commonwealth Scientific and Industrial Research Organization (CSIRO). Trials in Malaysia showed that farmed tilapia fed a diet including NovacqTM, an aquafeed ingredient composed of marine microbes, ate more and grew bigger than those on diets without the ingredient. “Fish feeds that include up to 10 percent NovacqTM can significantly boost tilapia weight gain by up to 35 percent. This applies to diets consisting of 0 percent, 5 percent and 10 percent fishmeal,” said lead author Dr. Cedric Simon, Group Leader, Aquaculture Nutrition, CSIRO. Traditionally, wild-caught marine ingredients such as fishmeal and fish oil make up 15–65 percent of ingredients in fish feed pellets used by commercial fish and crustacean farmers. Inclusion of these ingredients reflects the food that farmed fish and crustaceans such as shrimp would eat if in the wild and provides a rich source of nutrients, particularly animal protein and omega-3-rich fats. Yet with the world’s fish stocks under pressure and aquaculture volume growing, the use of wild-caught fish to feed farmed fish is unsustainable. It also represents a critical threat to the long-term viability of the global aquafeed industry and aquaculture. 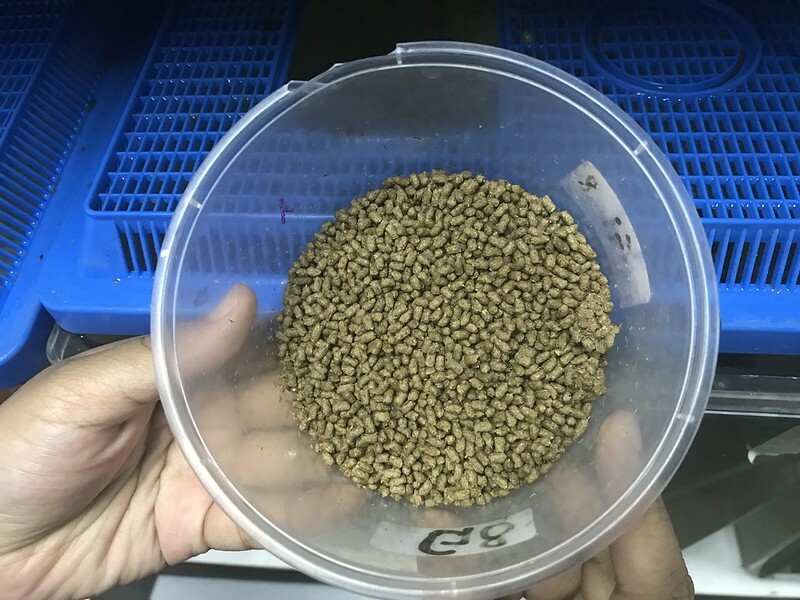 The study, ‘Microbial biomass (Novacq™) stimulates feeding and improves the growth performance on extruded low to zero-fishmeal diets in tilapia (GIFT strain)’, assessed whether NovacqTM could promote fish growth on diets with no fishmeal, targeting genetically improved farmed tilapia (GIFT). GIFT is a fast-growing strand of tilapia, developed by WorldFish over the last 30 years, which is farmed by many small-scale farmers in over 16 countries, most of them developing countries. The research, published in Aquaculture in February 2019, found that NovacqTM is a suitable feed additive that improves the growth performance of farmed tilapia. “While tilapia can grow on zero-fishmeal diets, they tend to perform better on diets with some fishmeal. 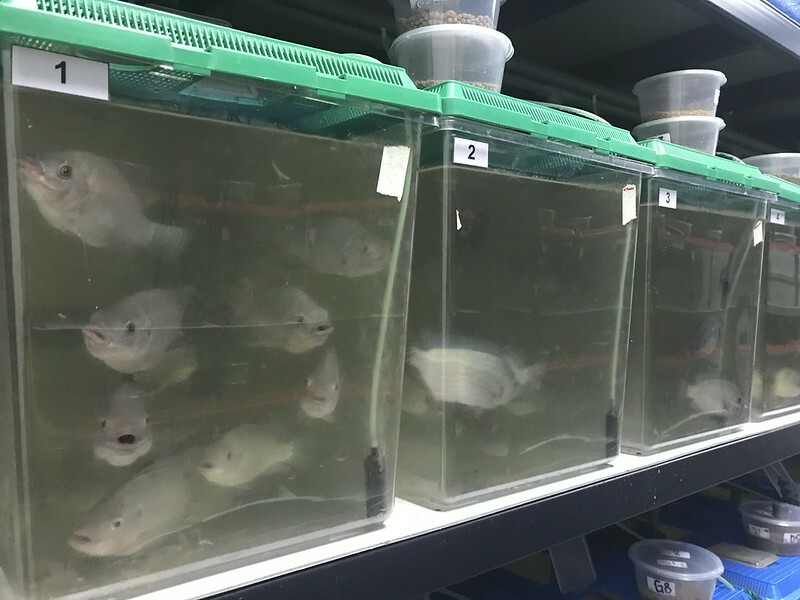 But this research shows that the use of NovacqTM more than compensates for the negative impact of completely eliminating fishmeal in diets for tilapia,” Dr. Simon said. 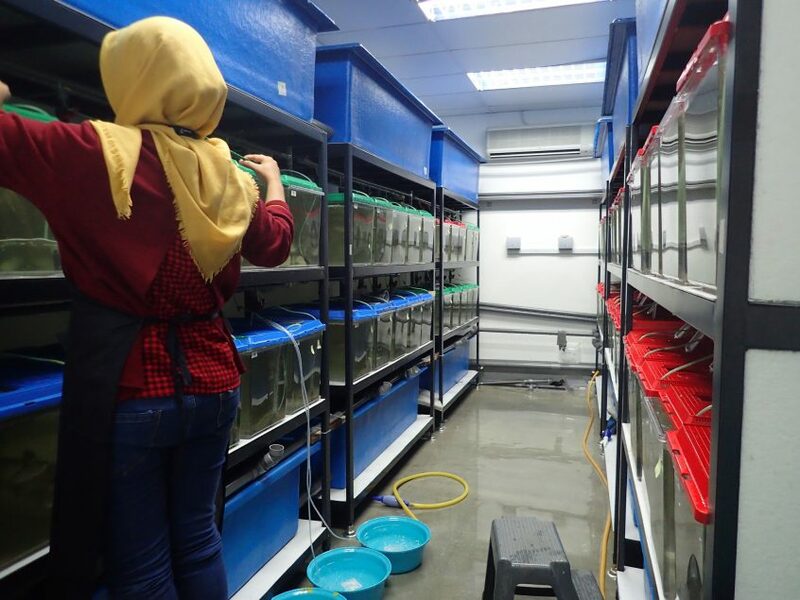 The trials took place in Malaysia, where 540 juvenile GIFT were reared for six weeks in November–December 2017 on eight experimental diets and a commercial benchmark diet in a recirculated freshwater system. The study was undertaken as part of the Novel Aquafeeds: From Plant Waste to Zero Fishmeal Aquafeeds project funded by a grant from the Blue Economy Challenge. This was the first time that NovacqTM had been tested on GIFT. The findings have huge potential to reduce the reliance on harvesting wild fish, said research co-author Sharon Suri, former Project Coordinator, Sustainable Aquaculture, WorldFish. “From the onset of this project, we were aware that reducing the amount of fishmeal included in aquaculture diets could have huge benefits; even a 50 percent reduction could have a large impact. To limit the amount of fish diverted from capture fisheries, fishmeal needs to be used more efficiently as a strategic ingredient,” she said. Beyond better performance, the study uncovered that the fish fed a diet with NovacqTM ate more, showing that the ingredient is highly palatable and stimulates feeding. The trial also found that the benefits of NovacqTM are not lost through the application of heat treatment, which is needed to form stable and more digestible fish pellets but has the potential to reduce nutrient content or quality. Today, the NovacqTM technology is in commercial production in Australia, Thailand, China and Vietnam. Numerous efficacy trials have been undertaken on shrimp, and farmers in these countries and elsewhere globally have seen growth rate improvements of up to 30 percent versus the control. The potential application of NovacqTM in the diets of other species such as fin fish is relatively untested. The results of these global trials will therefore enable CSIRO NovacqTM licensees to find new relevant applications for their feed additive and to target new markets in need of the product. Further research and development will play a critical role in realizing the full potential of NovacqTM, said Dr. Simon. Kate Bevitt is a communications professional with over 10 years' experience working for not-for-profit, government and research organizations. 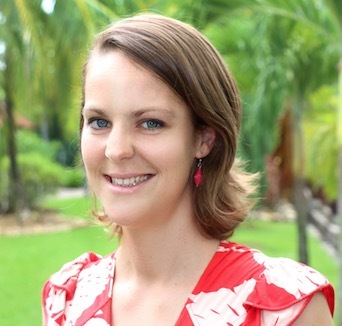 Kate was the Writer / Editor for WorldFish from 2015 to 2017. Before this, she spent two years in Timor-Leste as the Communication Advisor for the Seeds of Life agricultural research project. Kate holds an MBA in Marketing and a Bachelor of Communication (Journalism and Public Relations) from the University of Newcastle, Australia.